The Latin American and Caribbean region could end the year with an urban unemployment rate of between 6.2% and 6.3%, which would be slightly lower than 6.4% recorded in 2012, according to the latest projections from the Economic Commission for Latin America and the Caribbean (ECLAC) and the International Labour Organization (ILO). According to the document The employment situation in Latin America and the Caribbean – No. 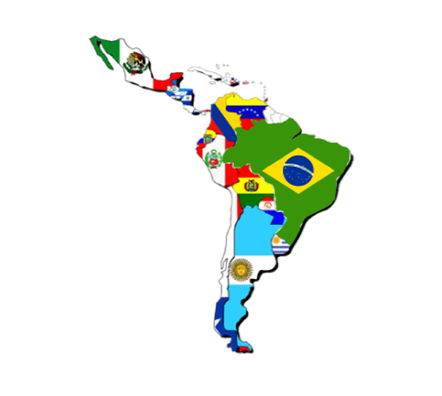 9, “the first half of 2013 was not plain sailing for Latin America and the Caribbean”, due to a sluggish world economy, increased financial market volatility and weakened internal demand. In the first six months of the year, the regional economy only grew by 2.5% compared with the same period in 2012. The slowdown in the region’s economic growth in the first half of 2013 resulted in lower demand for labour. More specifically, this took the form of lower generation of wage employment. While the latter grew by 3.1% at the regional level in 2012, in the first half of 2013 estimated growth is just 1.6% (based on 10 countries with data available). Having said that, the proportion of wage employment within total employment did increase in most countries. Lower dynamism in job creation did not mean higher unemployment, as the first six months of 2013 saw a reversal in the relatively strong increase in the labour participation rate from 2012. In the 10 countries with information available, this rate stopped growing in the first six months. One of the aspects highlighted in the report is the continued downward trend in the unemployment rate that began in 2004 – albeit in the form of very modest reductions. For the 10 countries with information available, the average urban unemployment rate went from 6.7% in the first half of 2012 to 6.6% in the same period of 2013 (although there was an increase in Argentina, Jamaica, Mexico and Uruguay). With the exception of Jamaica, the increases were small (of less than half a percentage point). In addition, the gaps between men and women in terms of labour participation, employment and unemployment continued to narrow – although there were differences among countries. In terms of real wages, most countries saw a continued rise during the first half of the year, although rates were slower than the average for 2012. The second section of the document produced by ECLAC and ILO analyses the transformations in national vocational training systems in Latin America and the Caribbean, which face new challenges as the region’s economic, productive and technological changes give rise to more diversified demand. In this context, a series of innovations has been introduced in terms of the content, methods, technologies, institutions and coordination of vocational training. In the foreword to the publication, Alicia Bárcena, Executive Secretary of ECLAC, and Elizabeth Tinoco, Regional Director of the ILO Office for Latin America and the Caribbean, state that “National vocational training systems need to play a role in reducing the inequalities typical of the labour markets in the region. This is one of the challenges they should take up”. To this end, these systems must be integrated with other labour-market policy instruments and must develop effective ways of integrating into the labour market those groups now facing specific obstacles. According to both institutions, a labour force with the skills, competencies and knowledge that suit the demands of formal enterprises and the informal sector, and that meet the needs and preferences of the population, is key to reducing external and internal productivity gaps in Latin America and the Caribbean, as well as to advancing towards sustainable development in the region.